We are pleased to announce Scott Combs, PA-C has joined Orlando Orthopaedic Center and is now seeing patients at the Downtown Orlando, Oviedo and Lake Nona locations as he assists Michael D. Riggenbach, M.D., with the management of his hand and upper extremity practice. After serving our country in the United States Navy, Scott attended the University of Central Florida where he obtained his bachelor’s degree in psychology. He earned his master’s degree in physician assistant studies at the University of Florida. 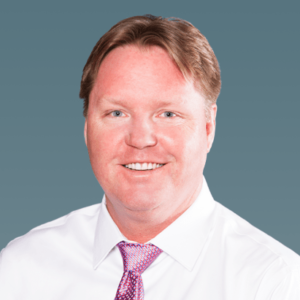 Prior to joining Orlando Orthopaedic Center, Scott worked as a physician assistant at a Level I trauma center and in an orthopaedic clinical setting. He also worked as a physician assistant at a Level II trauma center where his primary responsibility was assisting with surgical procedures. Certified by the National Commission of Physician Assistants, Scott has extensive clinical experience with all orthopaedic injuries and procedures. He assists Dr. Riggenbach in surgery, meets with all of his post-operative patients, and evaluates any new or existing patients as needed for the practice. Together with Dr. Riggenbach, they use a team-oriented approach to provide patients with exceptional care and state-of-the-art orthopaedic treatment.